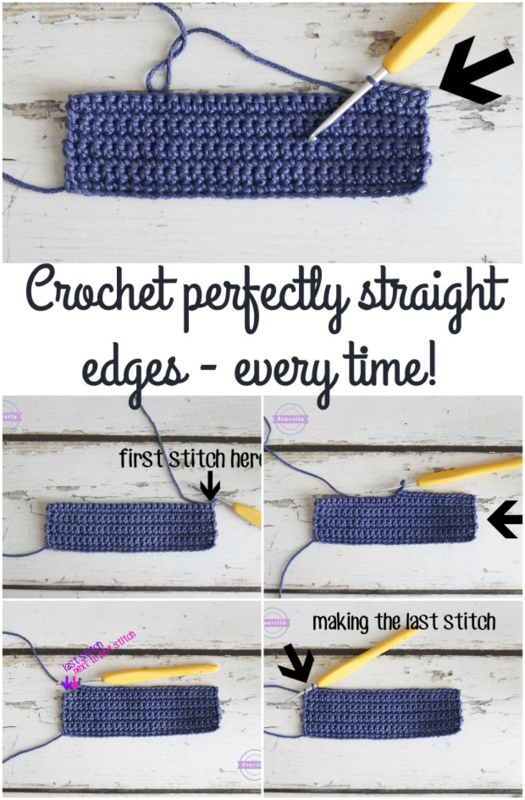 Take a moment and imagine if you knew how to crochet a straight edge every time with out fail. 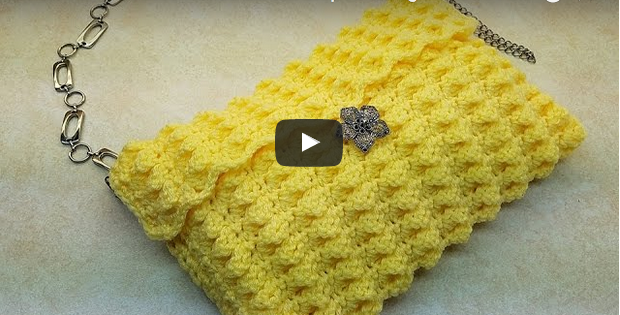 You would do outstanding justice to the crochet projects you embark on. No more crocheting fried eggs (see picture below). Today is the day you learn the tricks of the trade and only crochet straight edges from here on in. It is extremely simple to achieve and there is a detailed step by step video tutorial, so you can master this technique in confidence. 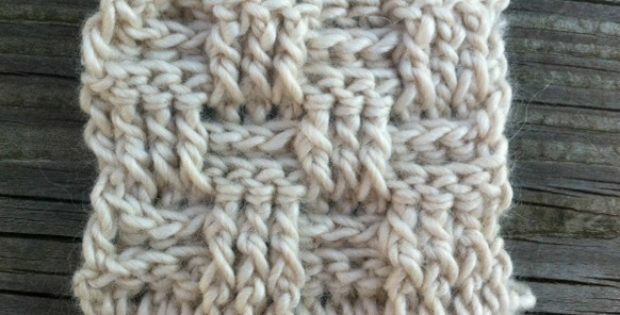 Learn how to crochet a straight edge that works every time regardless of the project at hand, well almost. I can’t think of anything more infuriating than sitting for hours working crocheting up a project. Back and forth you go, humming away with high hopes of the finished item only to take a good look and see you have askew edges. If you’re staring at wonky edges, then it probably means that you have been losing or adding stitches somewhere in there. It is a fairly common problem to encounter crooked edges. Especially, if you are a crochet beginner. 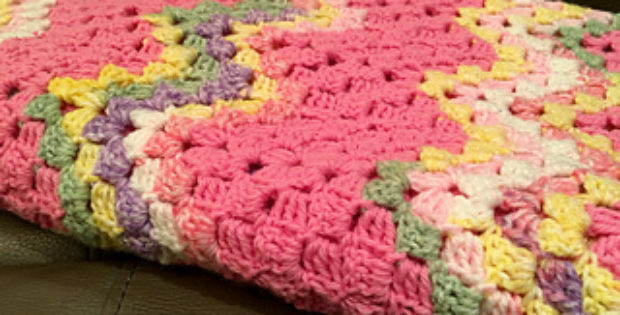 With an aim to crochet up a piece of a square or rectangular items such as a dishcloth or a small blanket. Chances are, you’ll end up with a trapezoidal shape the first couple of times. Your square might start off larger but finish smaller around the finished edges. 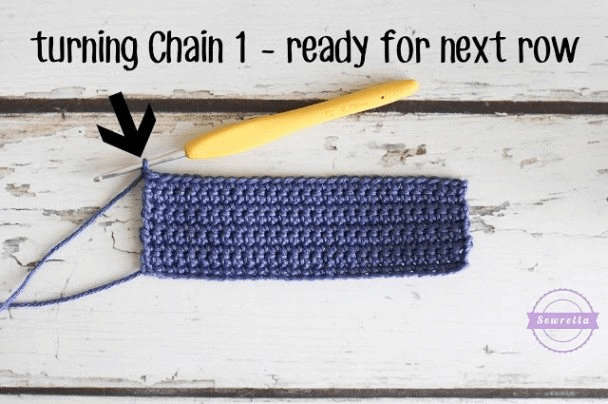 If this seems to happen to you every time and your crocheting skills aren’t exactly delightful, then this article is meant for you! 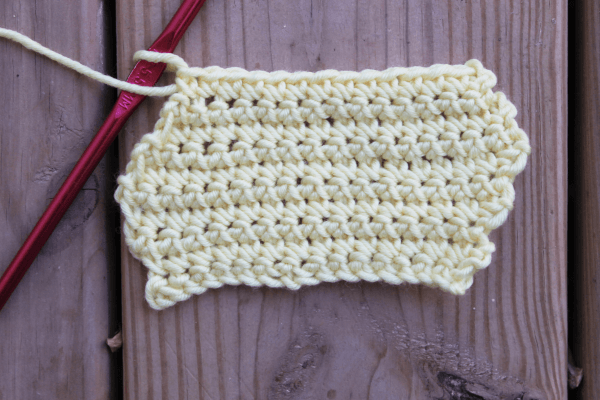 Now and then, you come across a crochet project that includes squares or rectangular shapes piece, and you can’t quite manage to pull off straight edge crochet? The dreaded trapezoid shape in such projects is a real concern that I felt we should address. 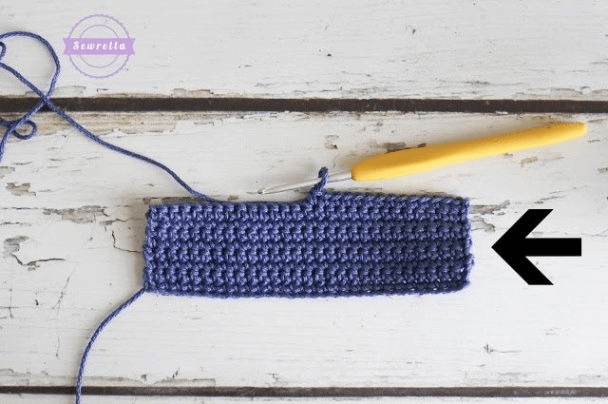 If you need to fix up the edge on a existing crochet project, then this article will be a great help. I know I am not alone on this but, my first ever crochet blanket attempt ended up turning into a trapezoid. That project is to date one of my least proud achievements. The problem I encountered was that I didn’t know where to place the first and last stitches on each row. Simply put, I wasn’t stitching in the correct places, and the whole thing spiraled downhill much to my disappointment. I ended up with a less then desirable blanket. Which was way smaller on one end. Trust me there was no way I was going to show it to anyone. I saved myself a ton of embarrassment and stuffed it in a box in my attic and forgot about it. Since then, I have made efforts to continuously learn as much as I can about crocheting. Also, to finish all of my great projects with a perfect straight edge. The trick is simple really if you know where to put your stitches then it is unlikely that your blankets will be trapezoids. However, as I mentioned it took some effort since I was too embarrassed to ask any of my friends. With a handful of YouTube tutorial videos and web articles, I figured out where exactly I went wrong. Soon afterwards my confidence was restored. There are two generally accepted methods of starting new crochet rows. The method you choose will dictate how even or uneven your finished edges will come out. It’s that simple and believe me it’s all about the turning chain. The most important point to remember if you want decent straight edge crochet is to count your stitches. It’s easy to dismiss counting stitches; nobody has the time. Fun fact; even the most experienced of crocheters can miss a stitch. That’s right. Depending on the pattern and design you are following you either have to count the turning chain stitches or not count the turning chain as a stitch. How many chains you count to start a new row will depend on the height of the stitch you’re using. TIP – remember to count your stitches as you go. Unless the pattern is increasing or decreasing, you should always have the same number of stitches in each row. It is recommended to follow the crochet counting strategy for any project you undertake in future. In my experience, my edges are straighter when I count the chains as a stitch. However, you don’t have to count your stitches necessarily, but instead, when you crochet your first stitch in a new row, go to the first stitch since the chain hasn’t yet been counted. 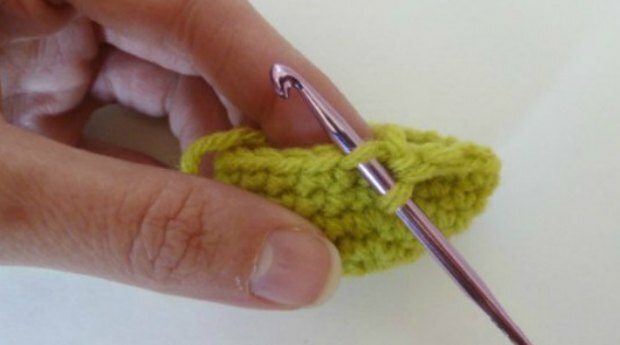 When you finally get to the end, go to the last formed stitch and so on, the result will be perfectly straight edge crochet. Pick up any worsted weight yarn in your preferred colors and a needle size suitable for the type and weight of yarn you picked and put to the test my method. A big thanks to Ashleigh from Sewrella for her inspiring article and her tutorial video. All the best in your efforts in becoming a better crocheter, who has learnt how to crochet a Straight Edge Every Time.